Half of all website visitors are accessing the Internet on mobile devices. If your site is hard to view on a small screen, you are losing half of your potential visitors. A responsive website reconfigures based on screen size, making it easy to view on smartphones, iPads, tablets and full-sized monitors. Links are easy to see – and press – with fingers on t ouch-screens. 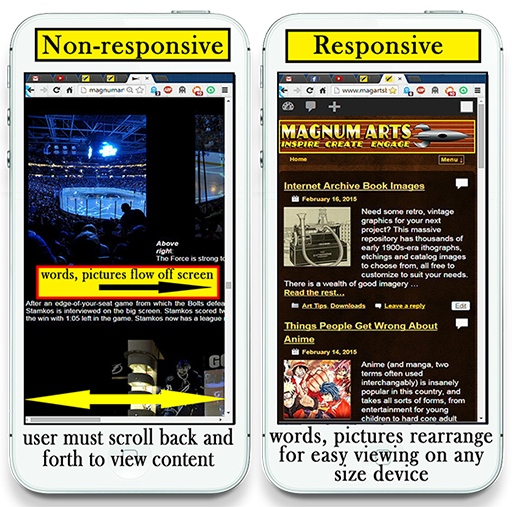 A non-responsive website requires users of mobile devices to scroll back and forth to read sentences, find links and access content. Words flow off the screen, links are difficult to find, and images take up valuable space on small screens. Magnum Arts designs websites that works for you, to your custom specifications, in a way that makes it easy for you to make changes any time you want. Whether your website has one page or twenty, your website, using the WordPress platform, will reflect your business image and make it easy for visitors to access your content. WordPress is the most popular – and versatile – blog and website platform on the Internet today. With an almost infinite number of features that can be added, your website won’t look “template-y”, and will have the features and functions you need to interact with your visitors. Best of all, once your site has been designed and is up and running, you can maintain it with ease! Magnum Arts provides ongoing support and guidance so making changes and additions is a snap. 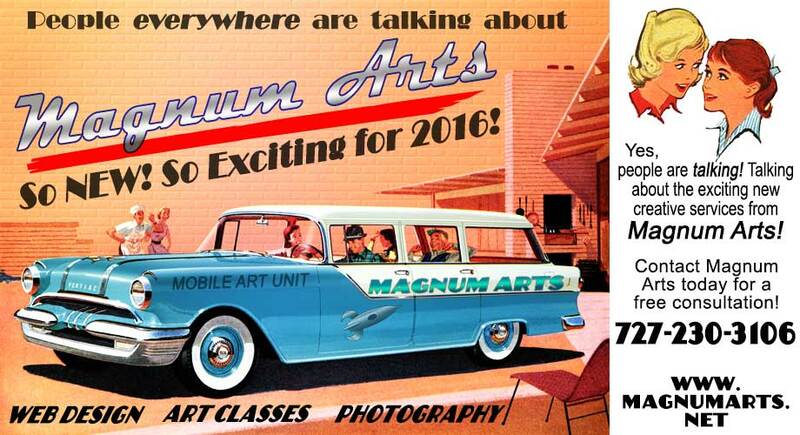 Want to learn more about how Magnum Arts can improve your website potential? Let’s talk!